3. Best DIY tiny cabin ever! 9. The Cutest Tiny Cabin Ever! 12. The Fastest Tiny Home Built Ever! Stressed? Living in city life can be stressful. The best thing I can do is take a break and have some time in a beautiful tiny cabin. 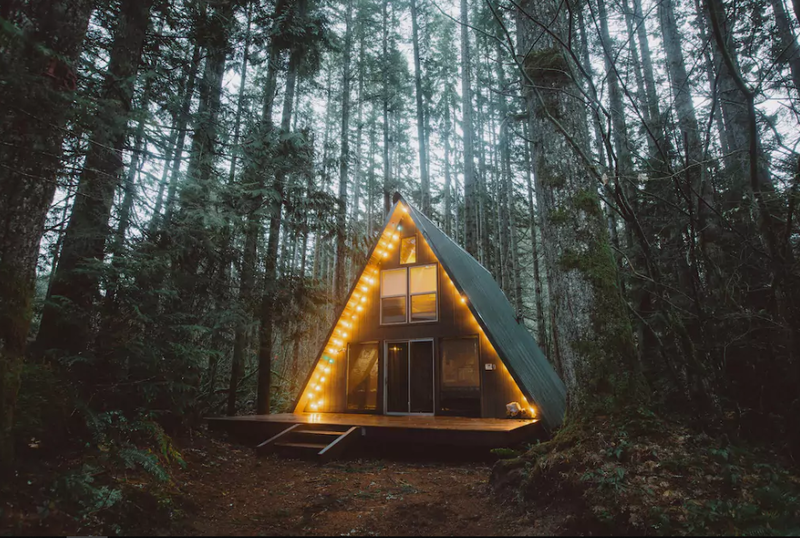 Tiny cabins give you an opportunity to connect to awesome outdoor experiences. Tiny cabins are a bit different from tiny houses. They are great for spending a vacation and escaping from the bustling city life. 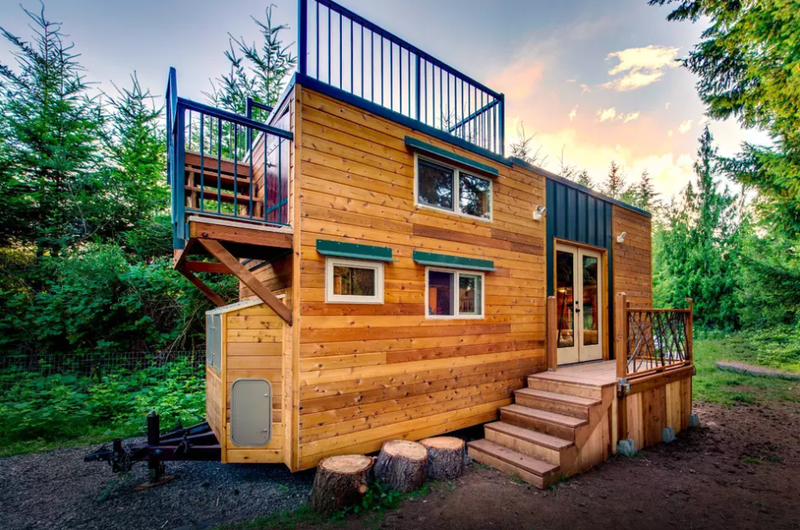 For many of you who wants to own or rent one, this list of beautiful tiny homes should inspire you. The sleek looking glass paradise cabin is perfect for experiencing great outdoor scenes. 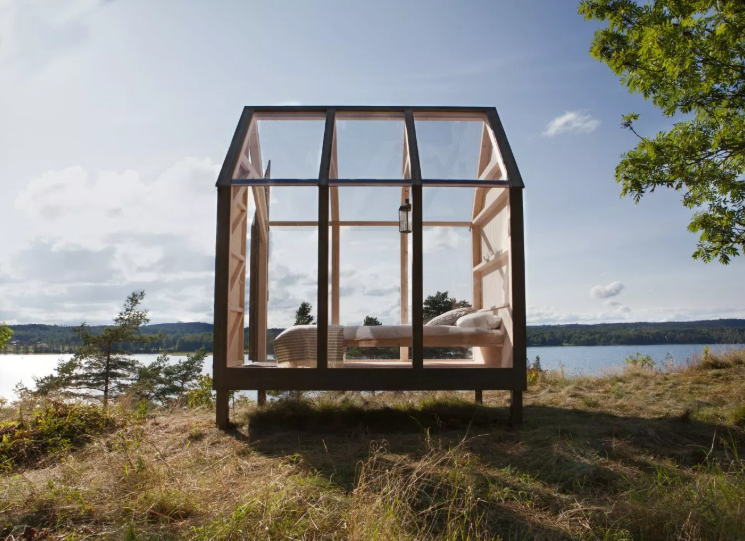 The tiny cabin in lies in the wilderness of Sweden calling you as you scroll down this article. The home is simple: one bed and a lantern and the rests are you and a lot of fantastic memories. 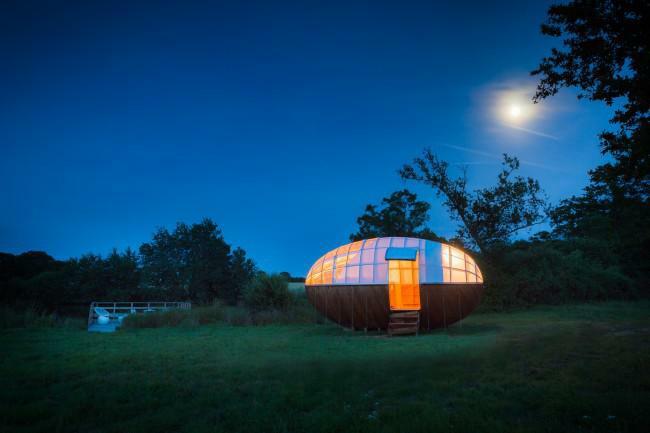 The Loire river estuary is the home for this mind-blowing egg-shaped tiny cabin. It’s just a one bedroom pod that can make you come again and again. Renting is available from May to October. But who says you cannot build something like this for yourself. Best DIY tiny cabin ever! 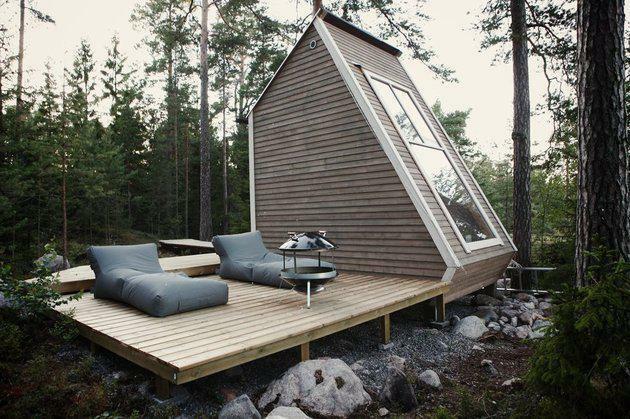 This Tiny cabin house is poetry. I believe if you ever get to live in one of them you will imagine yourself as Henry Thoreau. 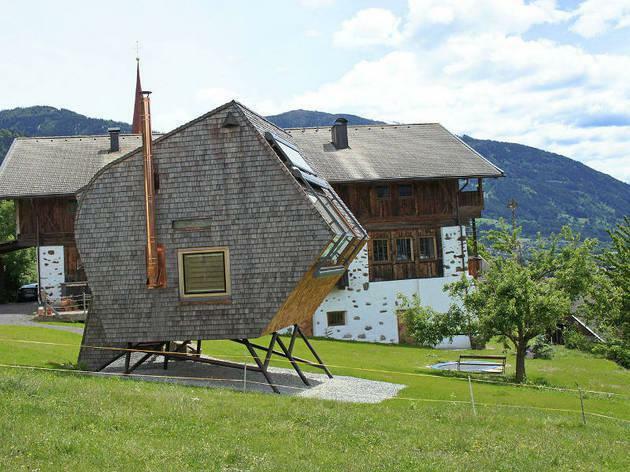 You might not like poetry, but this home built by Joalex Henry is a masterpiece of DIY. All you need is just $2500 in your pocket and a loving heart to make something like this. If you are wondering this home is one from the Hobbit movie, well not quite right. The tiny cabin is made from reclaimed woods, and you can get one from the Hobbitat spaces. The company is an expert in building modern homes from reclaimed materials. Spending vacation in this tiny cabin on wheels might be a dream for many. The 400 square foot cabin has all the features of a modern recreational vehicle. Rent The Wedge and get inspired before building one. 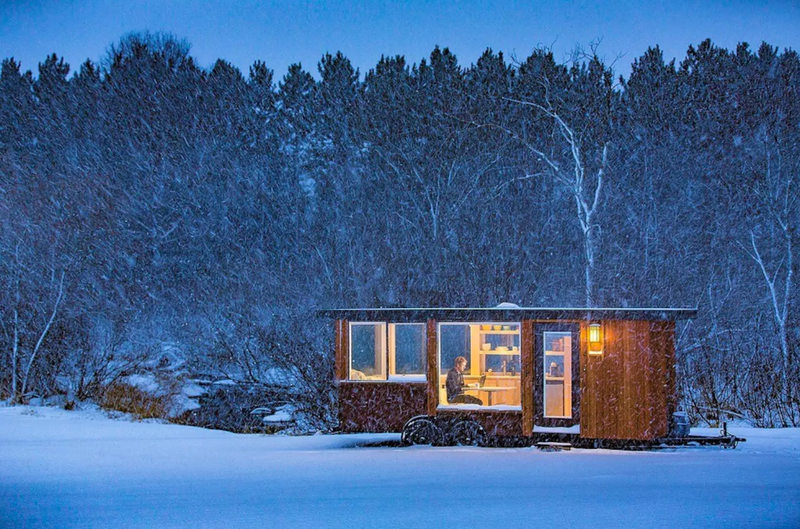 Just a shy 90 miles away from the New York City lies the world’s most beautiful tiny cabin. Who said so? Forbes said not me. The glass house’s remote location will not bother you from using Wi-Fi and a fully functional kitchen. 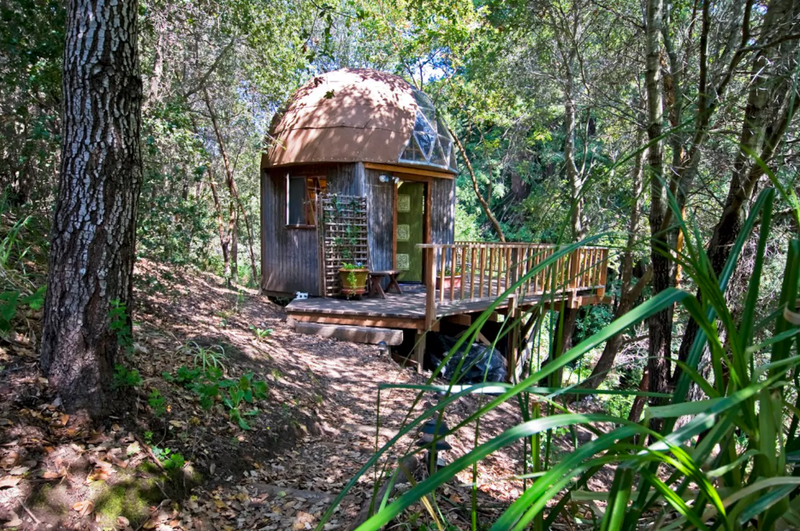 Located in the wilderness is the mushroom dome. It’s the perfect tiny cabin for spending a quiet vacation and a chance to see the Milky Way in a carefree environment. 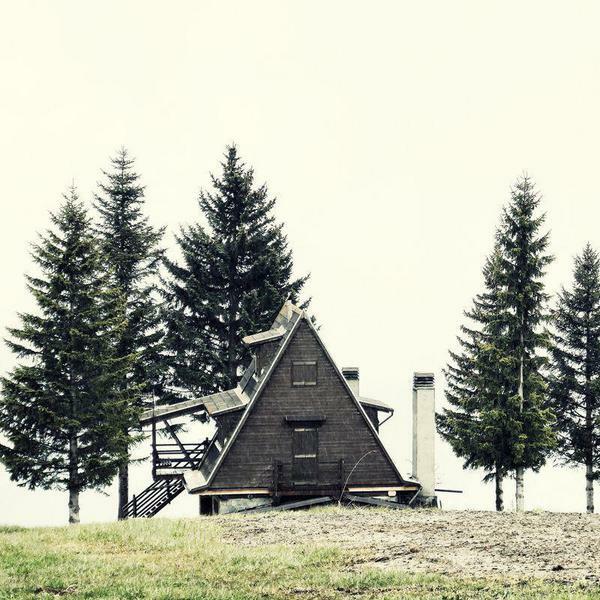 The Tye Haus cabin has a ghostly feel to it, especially at night. The cabin is blessed with all sorts of facilities, thanks to Sarah and Tom- the owners of this beautiful tiny cabin. Up to 5 guests can stay, and the reviews at Airbnb speaks a lot. The Cutest Tiny Cabin Ever! Japanese company MUJI with its large fan following has well gone past their brand products and now is they are more like a way of life. 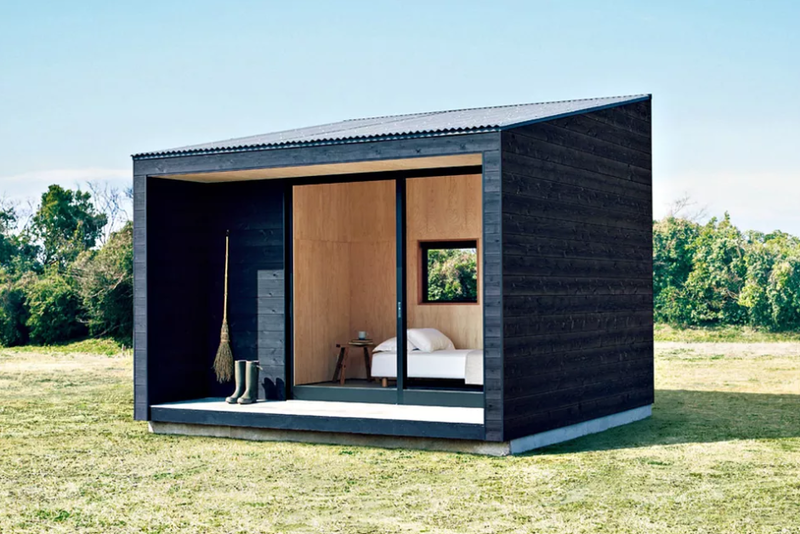 The Muji Hut is extremely cute and minimalistic. Put it on a trailer, and your vacation will never be the same again. The home is very expensive at $28000!!! But I recommend building it yourself! Whoa! 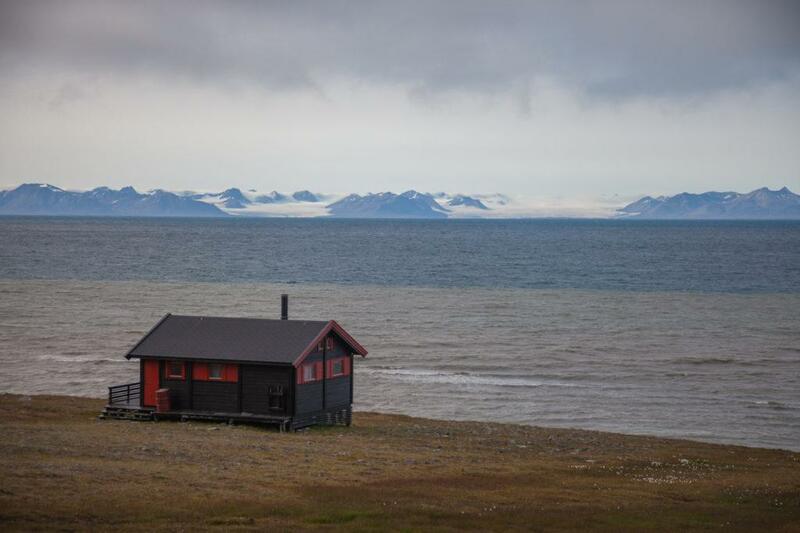 I can see the North Pole just a little far away from this awesome tiny cabin. Well, the North Pole is 800km away which is still very close. Who cares about getting lost, I am going to stay here for a week and live my dreams. Though it might not be on the hills, the Scottish structure is one of the project works of the Bothy project. It’s almost a complete home but more than enough to make your vacation sweet. The Fastest Tiny Home Built Ever! 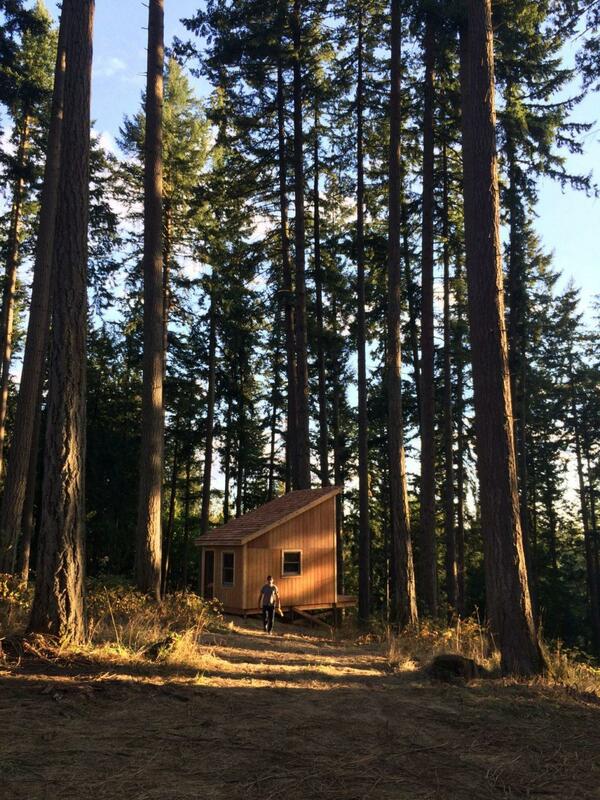 This tiny home in Oregon was built in six days! If this was not the quickest, I don’t know of any tiny cabin elsewhere. 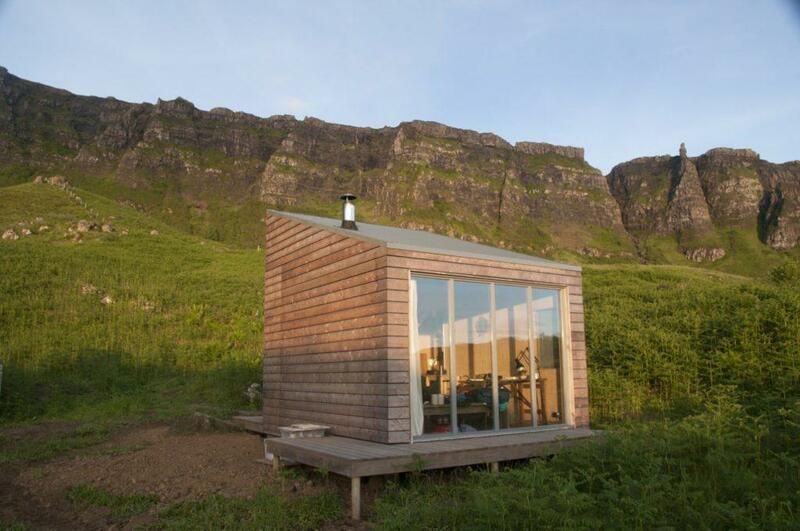 The tiny cabin is a shed roofed and wholly made from timber. One of my favorite. Can’t get enough. 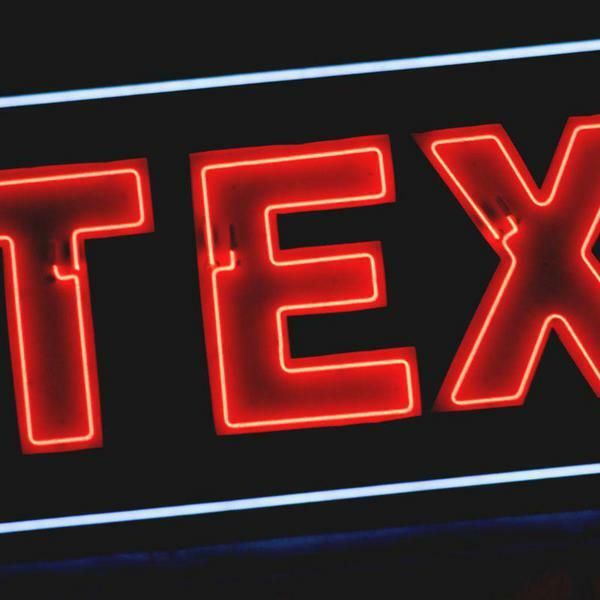 Let’s get to the next! 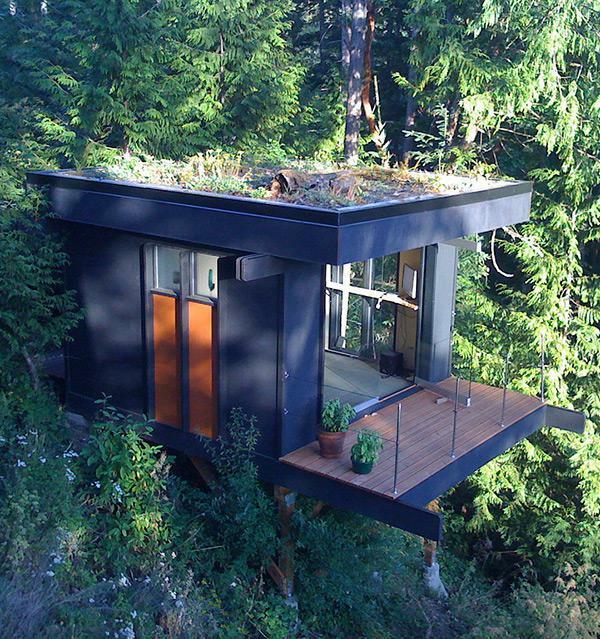 When working from home becomes tedious, the best way is to build a tiny office cabin hanging on a cliff. That’s what Peter Frazier did in Washington. His beautiful office home is inspiring and is a great idea to implement. 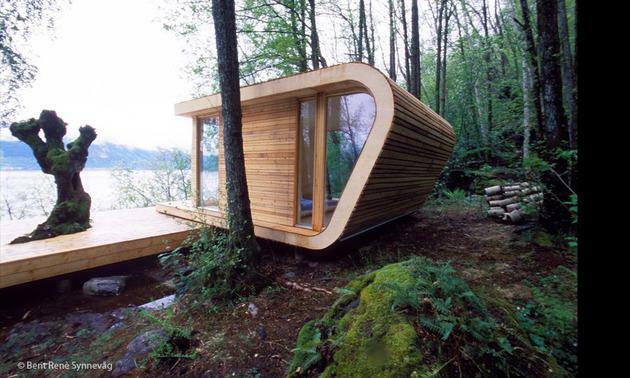 When it comes to design and creativity, nothing can beat this waterfront vacation cabin. The Bentwood C-frame provides a classy look with a minimalistic design. Guess what it’s in Norway! Remarkable thing happen in life without plans! Agree? 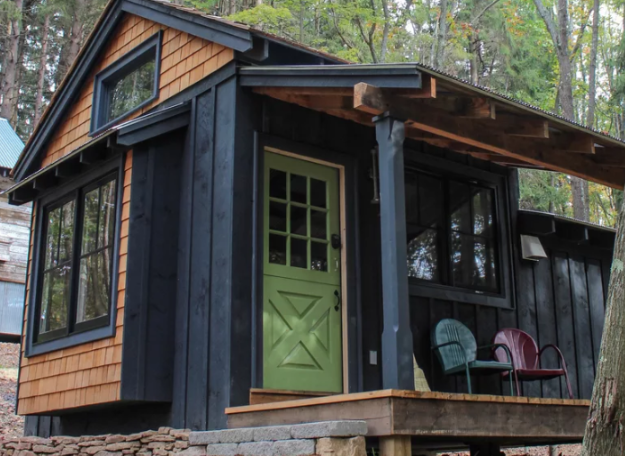 This tiny cabin was built without any blueprints! I love the home not just because of its minimalist design but because the split roof can provide ample of natural light and fresh air. 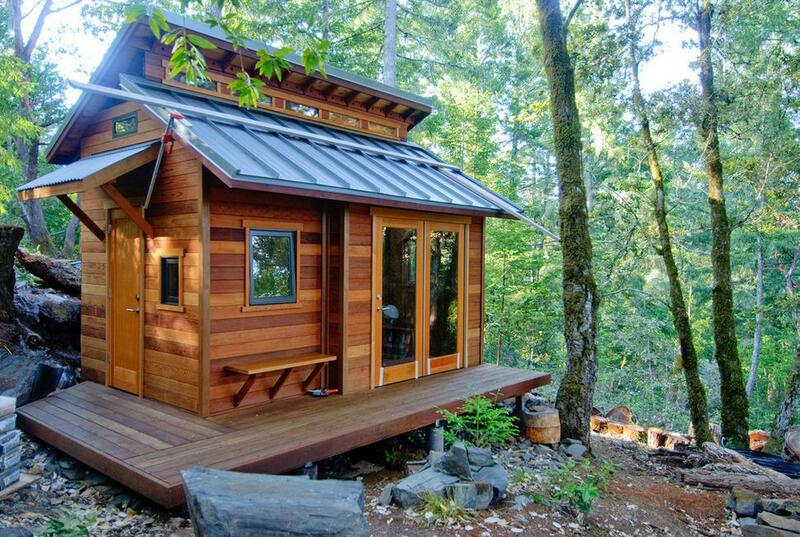 In Oregon, the two storied tiny cabin is a delight to watch. The design is simple: the first floor is the living space and the second floor is where the bedroom is. The best part of this home is that almost all of this home is designed to meet storage needs. Hiking and camping will never be difficult again living in a tiny cabin. 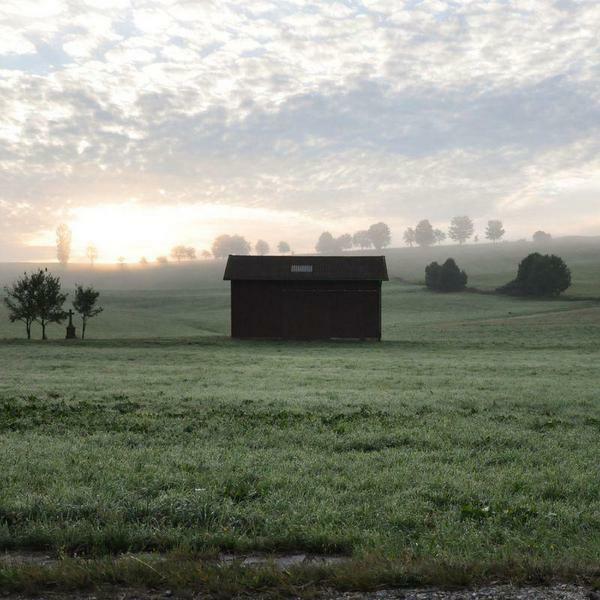 Robin Falck built a 96 square foot tiny cabin and that too in just two weeks. I Finland a home of this size requires no permit. The best part is there are two stories and from both the water view is incredible. The tiny house movement may well have been started in America, but it’s quite soothing to see tiny cabins all around the world these days. 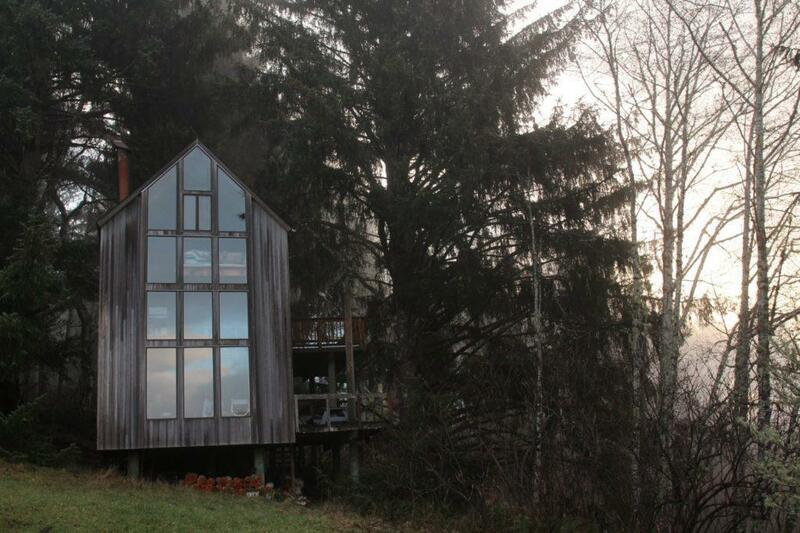 This tiny cabin is built on stilts so that the mountainous views will never fade. The futuristic design and the use of traditional materials like cedar shakes, and copper chimney makes it even more interesting. 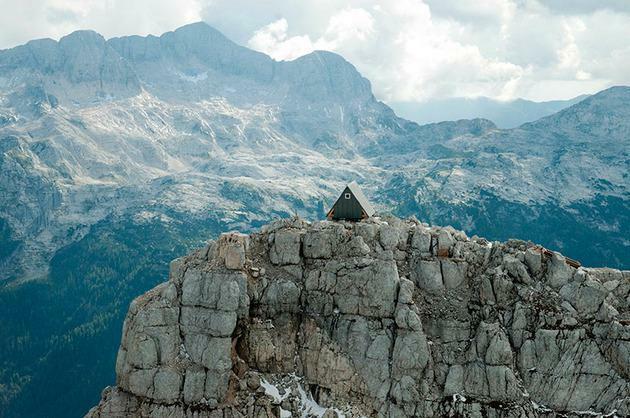 This tiny cabin sits on top of the Italian Alps and is a resting place for Hikers. Living in such a home will be adventurous. The triangular design a mimic of the mountains and the prefab outer layer is because it’s in a remote locale. 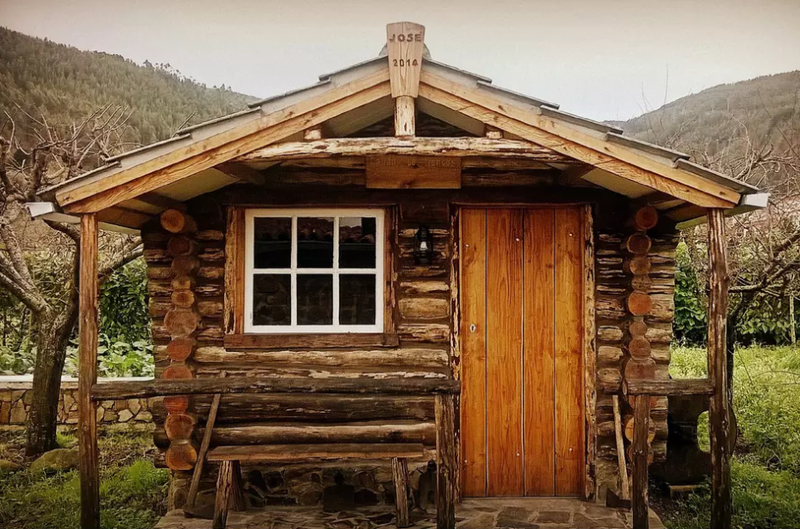 To quickly summarize, tiny cabins are more like tiny homes, but these are mostly used for vacation hangouts. I have provided you just a few glimpses of the 20 most beautiful tiny cabins. 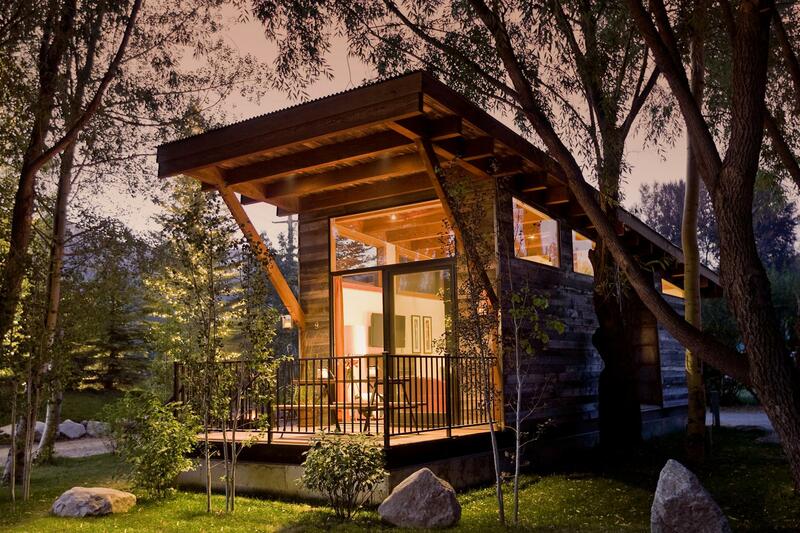 The tiny cabins can help you relax and make you realize that downsizing is great after all. There are tons of tiny houses out there. Build your own before you start to get more jealous!